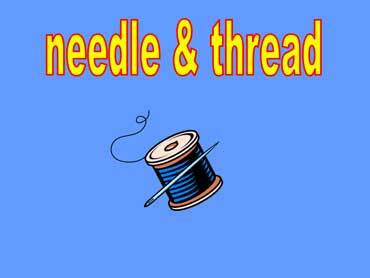 People sew clothes with a needle and thread. Sewing needles are sharp and they have a small hole. The thread goes through the hole. Scissors have two sharp blades and two handles. 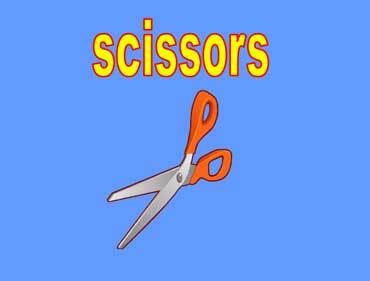 Scissors are used to cut paper and fabric. When buttons come off, we can sew them back on with a needle and some thread.